Most people get their information on Tibet based on declarations from Dalai Lama or his exiled followers residing in the west. Since these sources have not been to Tibet for decades, people can be expected to have at best a partial idea of what today's Tibet is like. Those that have visited Tibet are likely to have a more well-rounded impression of what Tibet is like today. 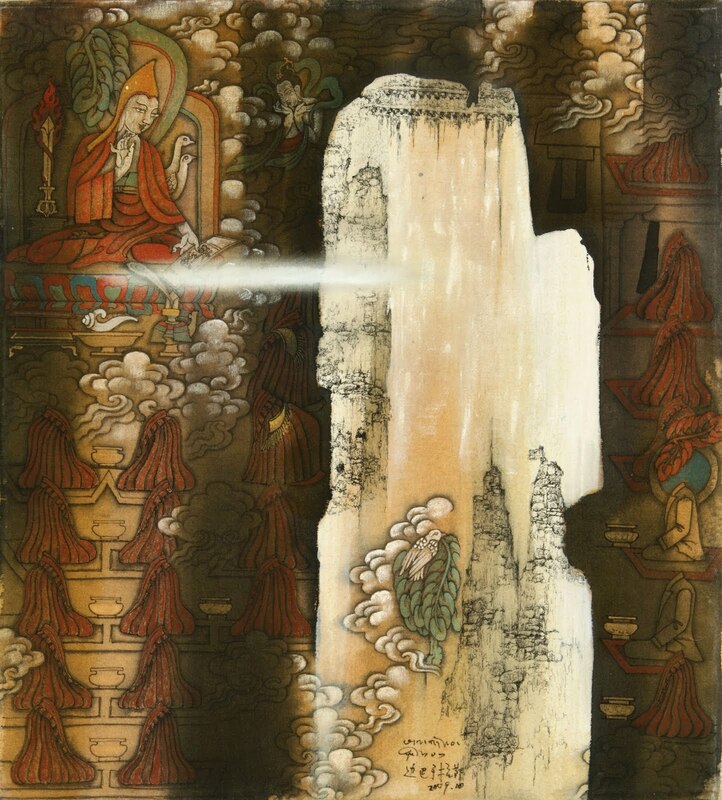 By touring various temples and souvenir shops, visitors would have been exposed to the richness of traditional Tibetan art embedded in religious objects and takeaway thangkas. 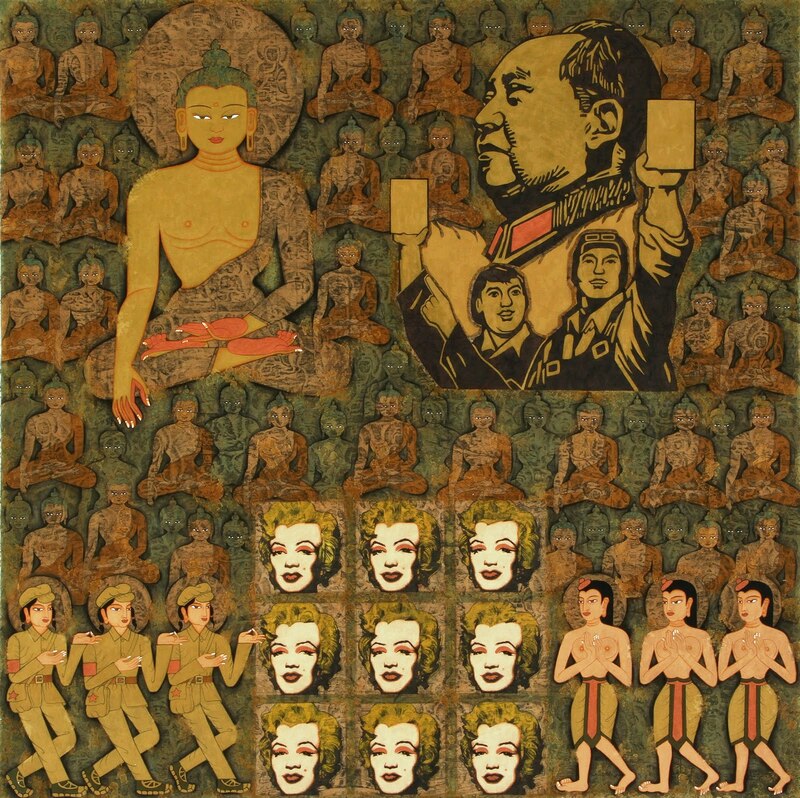 Very few, however, would know that there is such thing as modern Tibetan art and the art is dynamic and evolving in dramatic directions. My good friend, Dr. Cyrus Hui knows. A PhD economist and former banker, he became fascinated with Tibet, its culture and people, and he visits there often. He has written a historical fiction based on his Tibetan experiences. He got to know some of the artists and had decided to help promote the new Tibetan art by opening an art gallery in Lhasa in late June 2011. See his eloquent discussion of the evolution of Tibetan art on the website of his gallery. Many years ago, Cyrus was the first to recognize the universal appeal of paintings from Vietnam by artists trained in French impressionism. 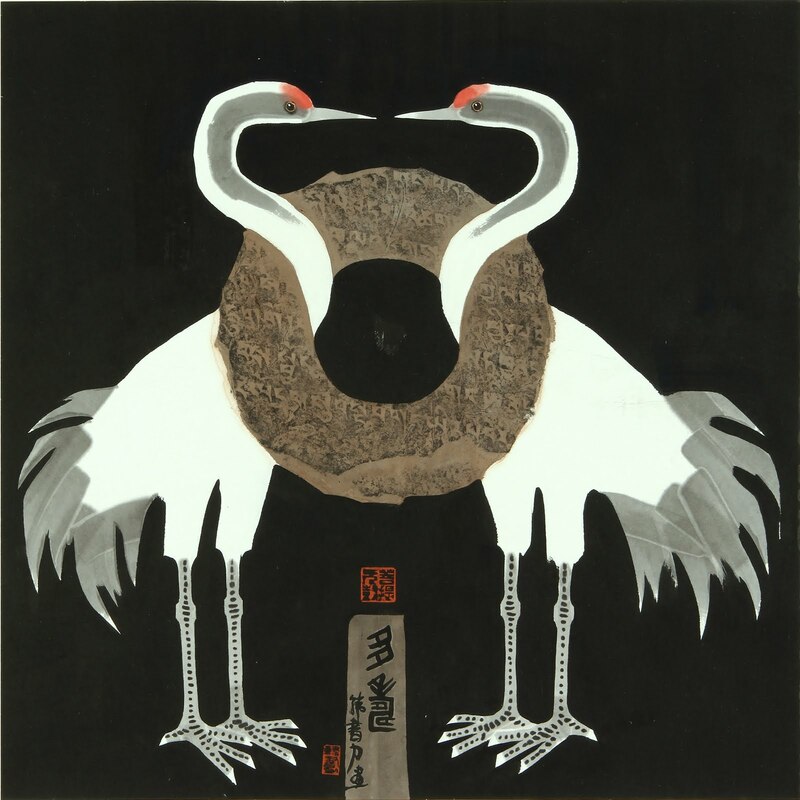 He bought the first collection of paintings back to Hongkong that became the seed for Galerie LaVong, the first gallery to launch its business exclusively on Vietnamese art. Owned and operated by Shirley Hui, Cyrus' wife and good friend, the gallery in Lan Kwai Fong, has become the place where trendy new art is first unveiled. 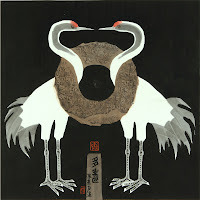 Prior to opening of the Lhasa gallery, a selection of Tibetan art was shown at Galerie LaVong with a gala in mid June. 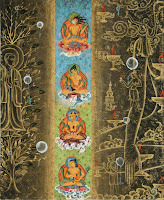 A selection of Tibetan art depicting its versatility and diversity can be seen at the end of the blog. 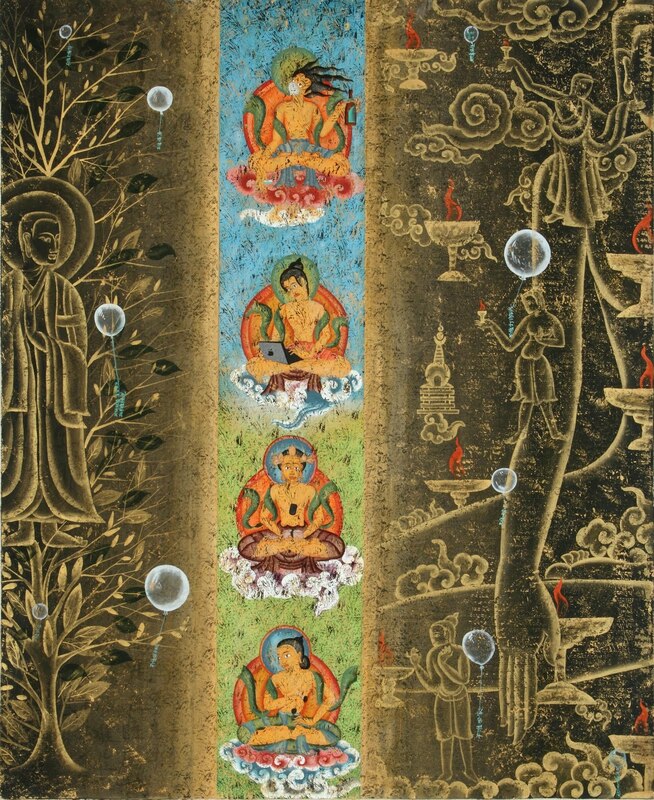 By opening an art gallery on Tibetan art, Cyrus is doing more than introducing today's Tibetan culture to the world. He is also explicitly saying: "Look, Tibet is a thriving place where its artists are free to experiment, innovate and create." Can we say the same for the residue of Tibetan culture eking out an existence in Dharamshala? Posted with the permission of Cyrus and Shirley Hui. what you are doing is most pathetic. 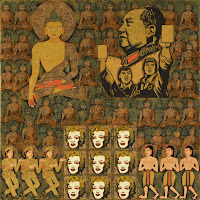 you are actually trying to justify 2.5 million tibetans killed by saying that tibetans have freedom to try modern art. most people do not get news about tibet from dalai lama , but from first hand people from tibetans who have escaped and people who shoot video s and send it to the west. you however get your news from the chinese communist that run tibet, with their propaganda. things are really great in tibet because they get to paint, thats why there have been numerous people that light themselves on fire. you know how much it takes you to light yourself on fire and slowly burn. that itself shows how much pain they re in, and how much chinese oppression is there. tourists are only permitted to go to tibet with special permit from chinese government. they know exactly how many people or foreigners are going into tibet, and they follow their every move. there was this american girl who taught english in china, and she travelled to tibet on her holidays. when she sent a text saying things in tibet are bad, she got snatched by cops after couple of hours and interrogated until she cried and was defeated. she then had to leave the country never to return. this is just one example. people in dharmsala and other place enjoy freedom unlike in tibet. since you are not a tibetan you can easily assume things are good with them. ask a tibetan and talk to them and ask their opinion and let me know what they say, instead of making your own opinion.